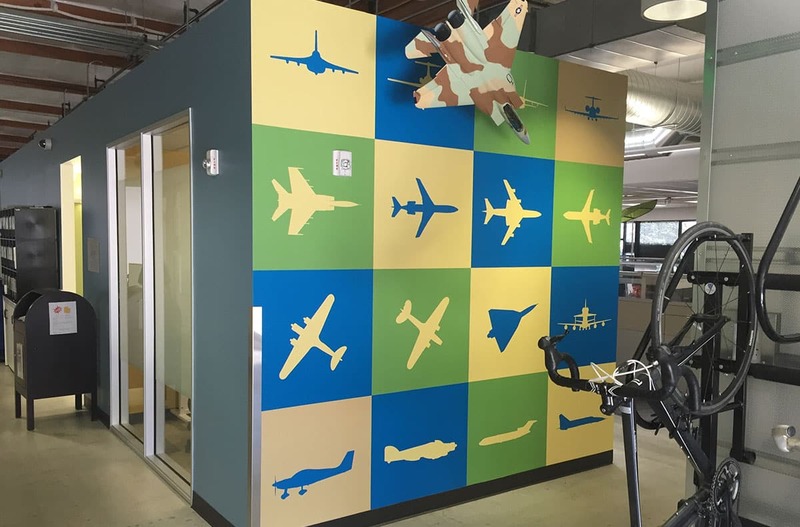 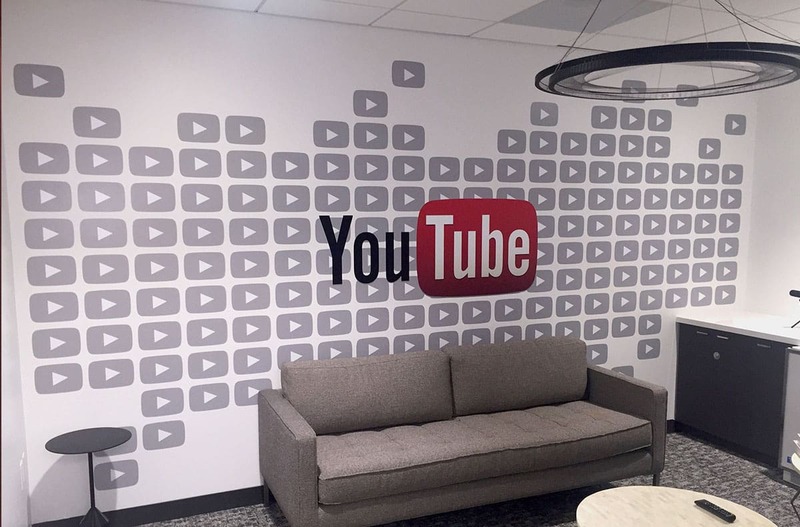 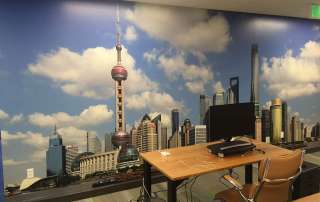 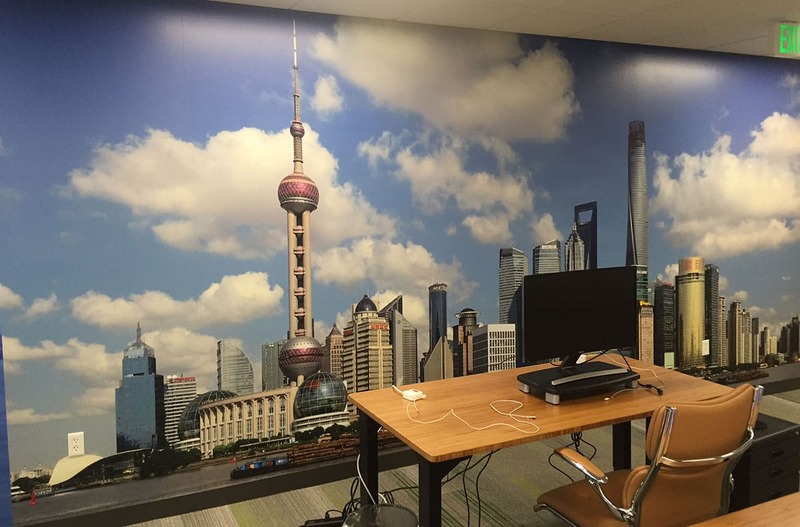 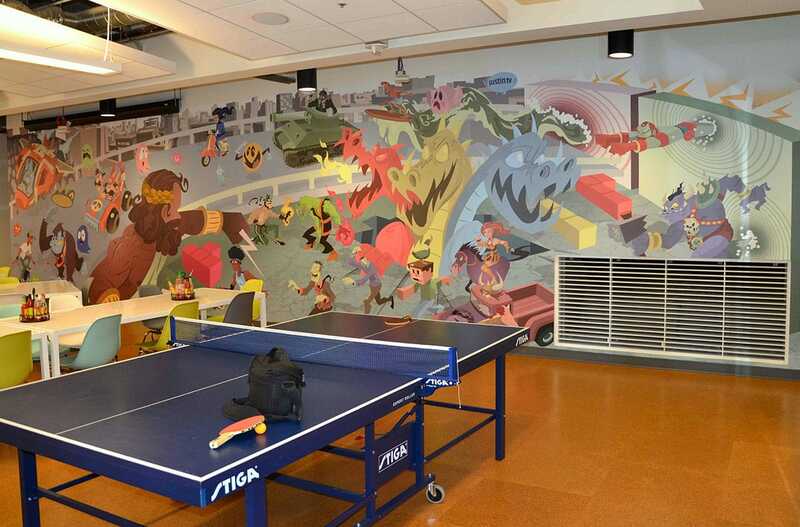 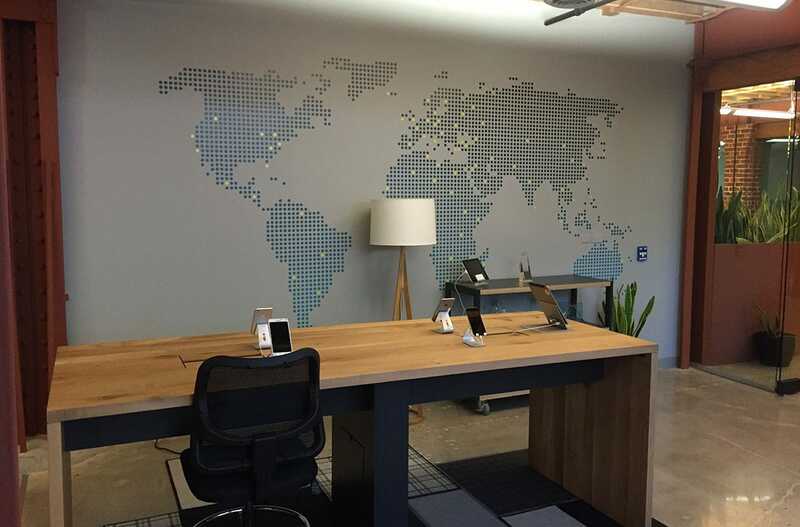 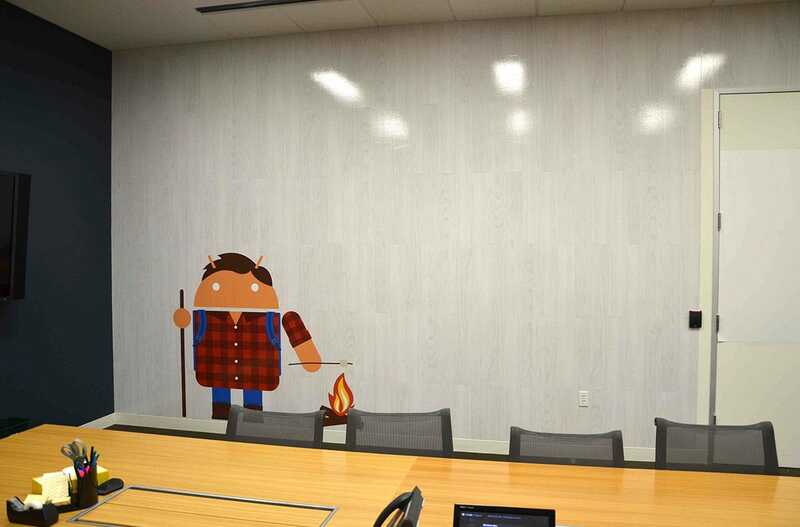 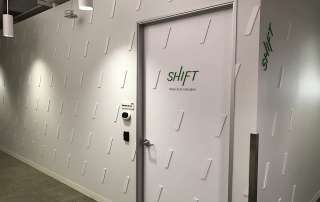 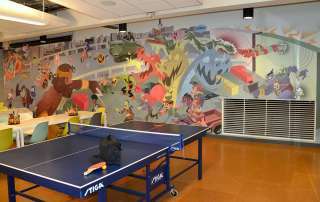 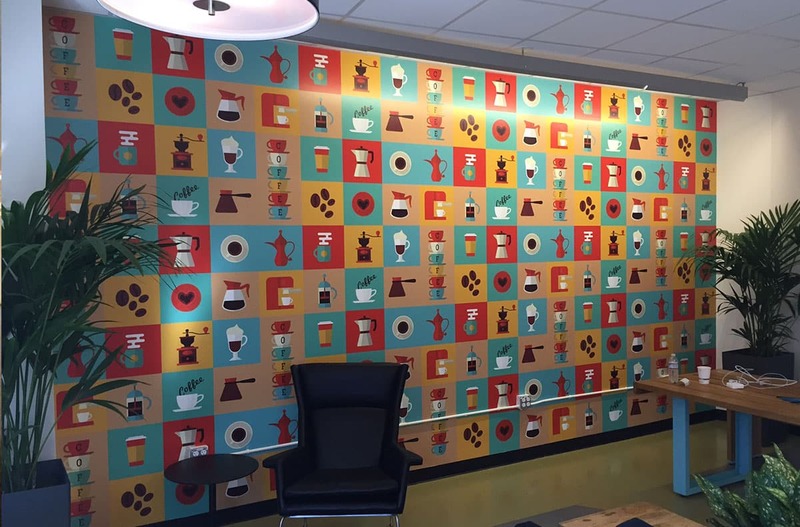 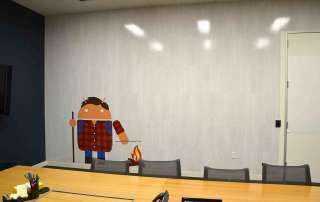 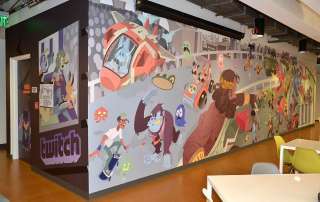 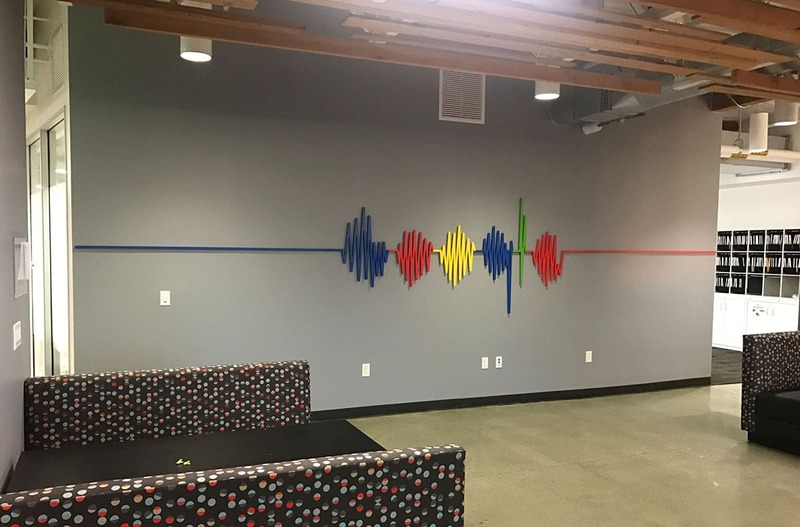 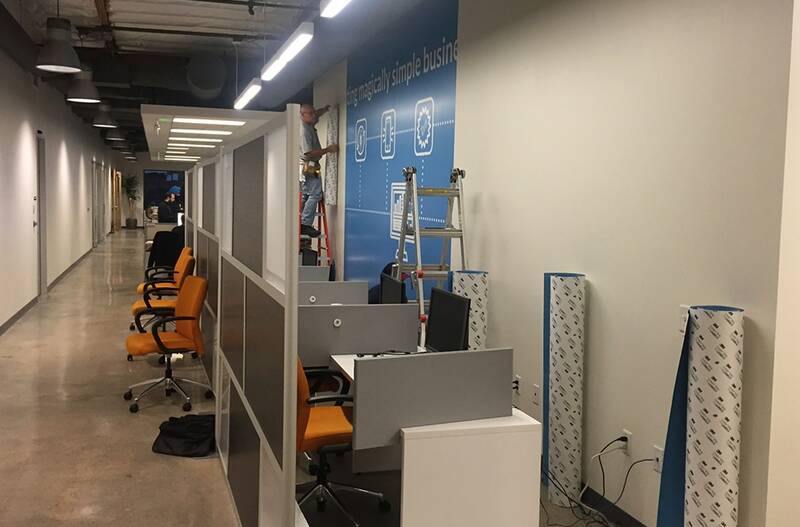 Use murals, wraps and other wall graphics to quickly transform any office décor into a productive and welcoming environment that reflects your company’s identity and values. 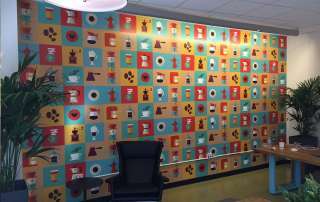 Let our talented team help you plan, design, produce and install the right art and message to any interior space. 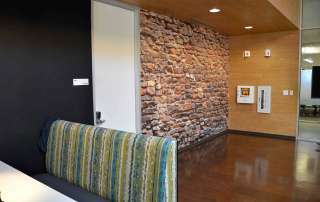 Our knowledge of materials and methods and experience with complex and ambitious installations allow us to do more with less and make the most of every environment. 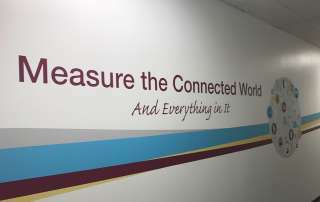 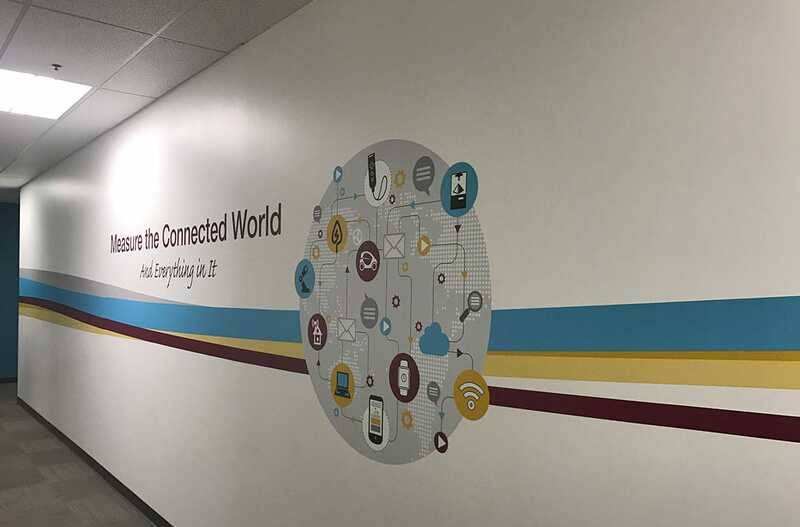 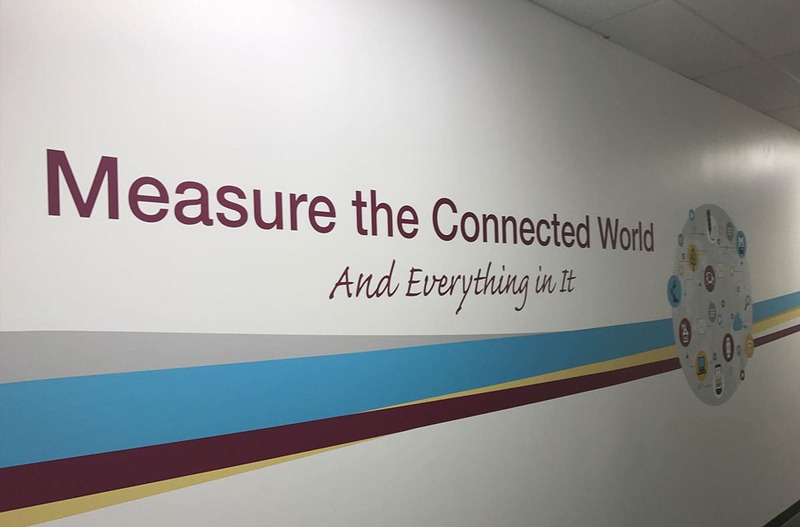 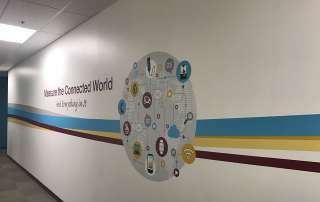 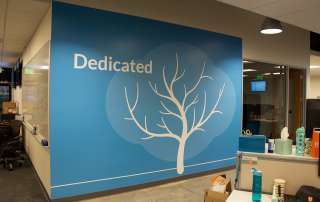 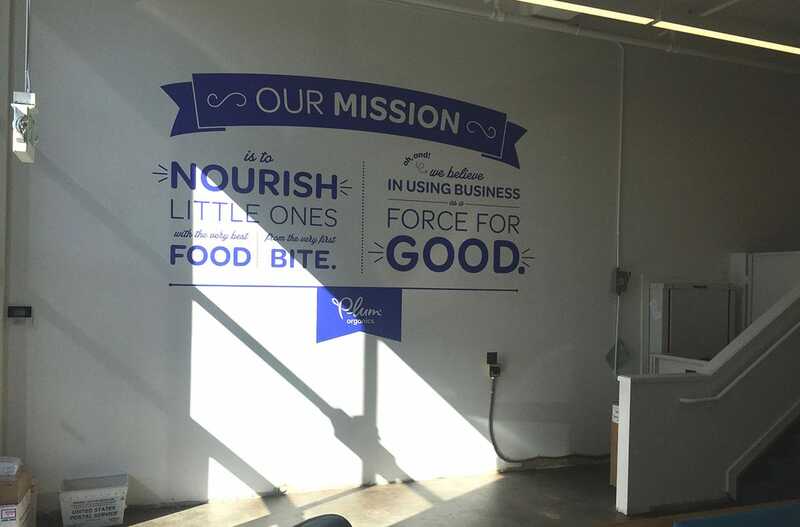 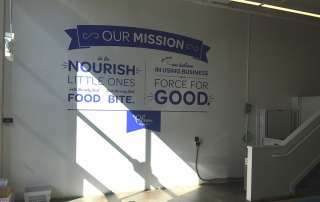 From welcoming and directing visitors to engaging and motivating employees, wall graphics serve a number of purposes. 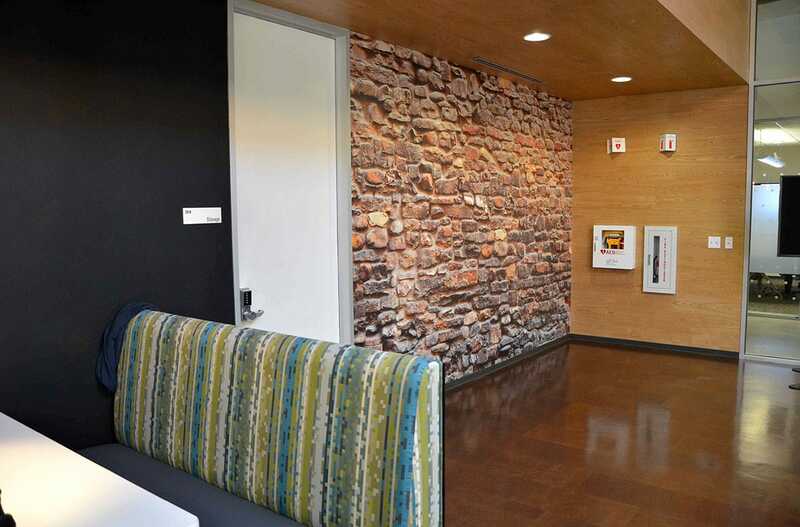 We expertly match the design and material to the space and purpose to create the perfect installation for any interior. 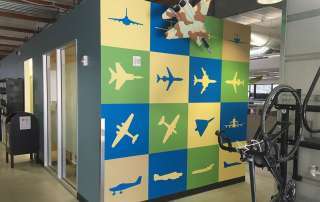 Removable. 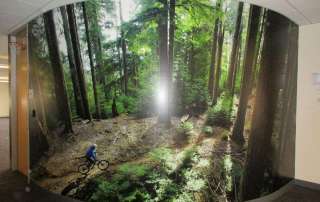 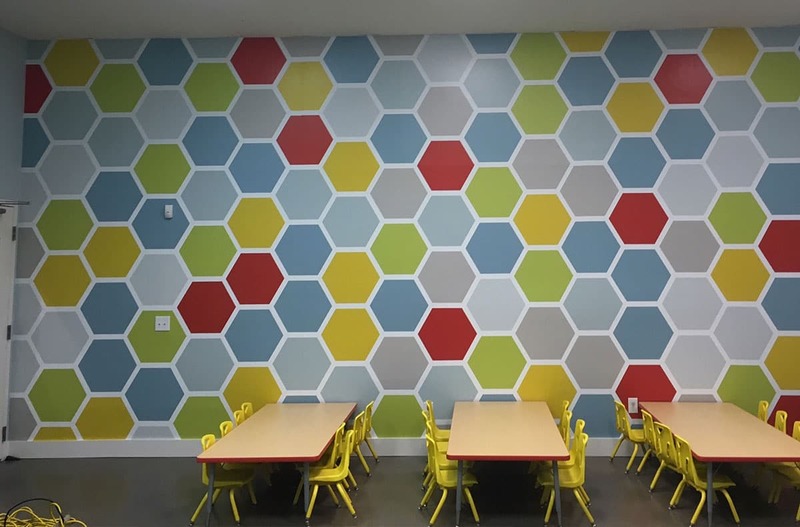 The use of materials like eco-friendly low-tack vinyl makes it easy to install and remove HD quality graphics from any surface. 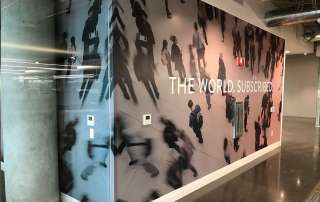 Permanent. 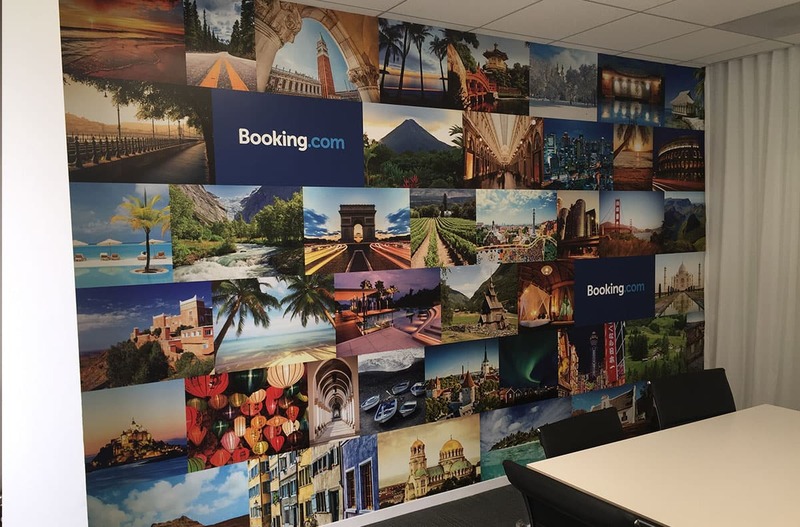 High-tack vinyl, print on fabric wallpaper, and mounted options all provide lasting durability and quality for a range of budgets. 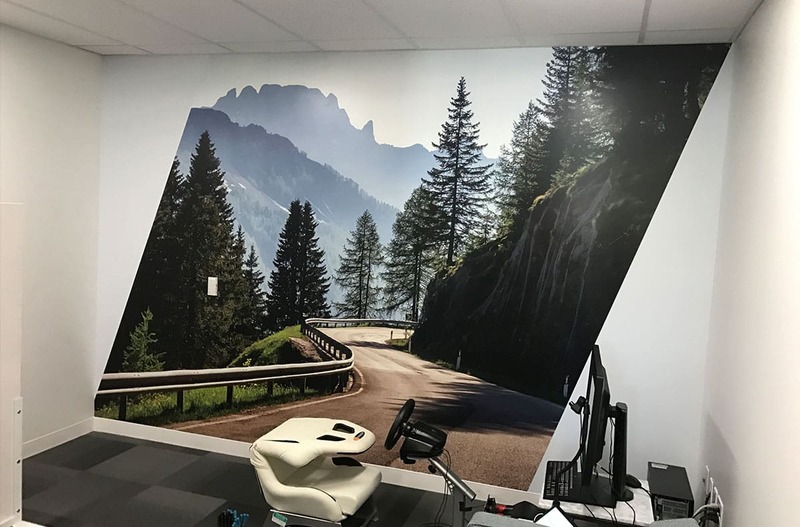 Custom. 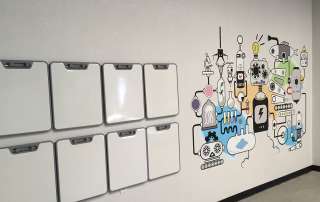 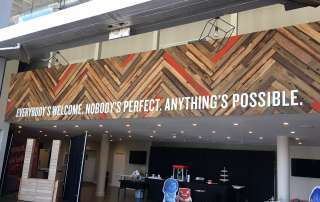 We use a variety of tools, materials and methods, including CNC cuts, echo, erase and chalk boards, and overlapping to bring your unique vision to life. 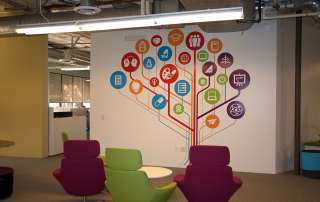 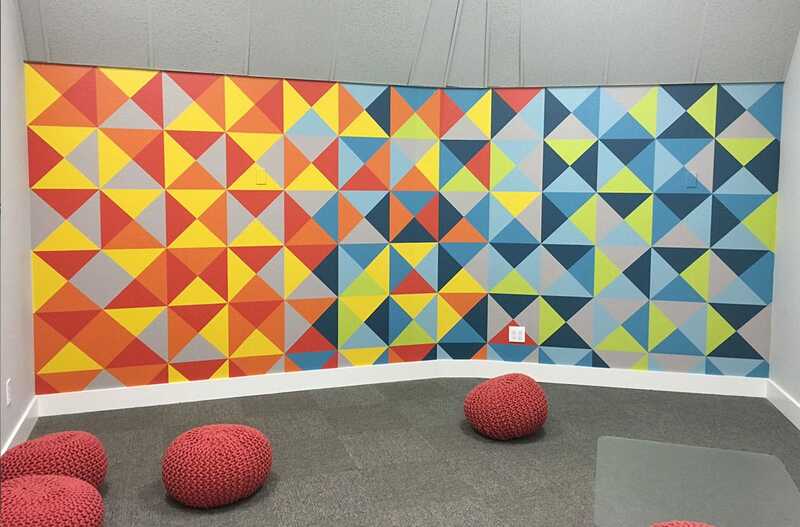 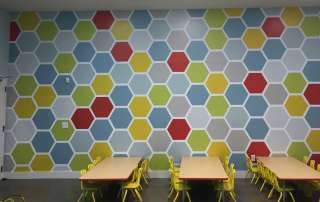 Planning and design is important to every wall graphic installation. 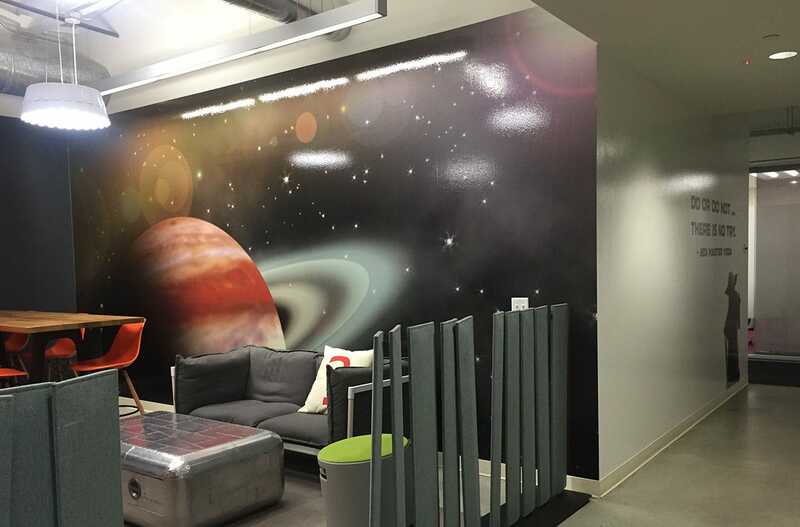 Our team of planners and designers work with you to capture all the requirements and turn your ideas and concepts into fully realized art and graphics for any interior space or environment. 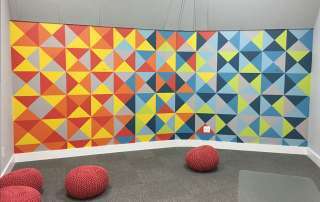 Concept and Design. 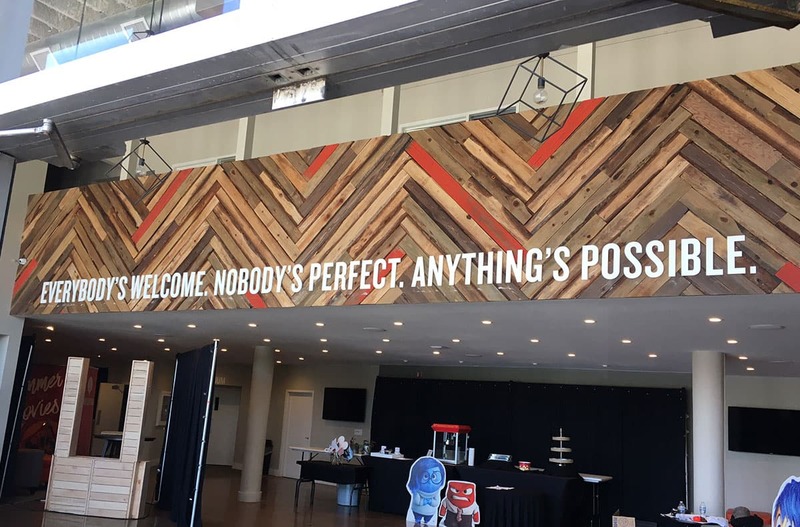 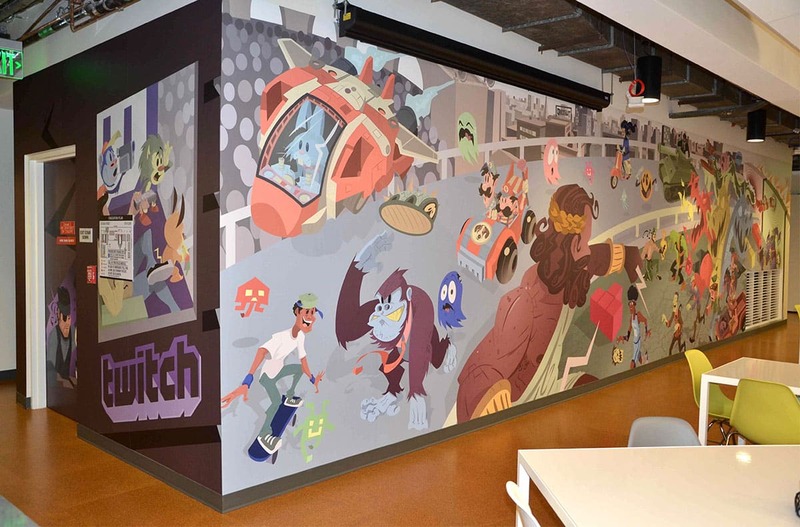 Whether you start with an idea, handful of brand elements, or complete concept, our talented designers and production artists can help you flesh it out and apply it flawlessly across every interior wall. 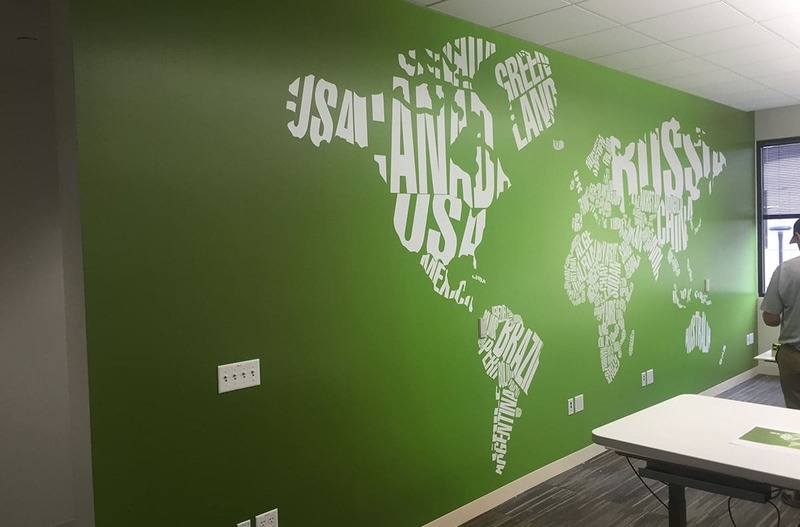 From the initial plan to completion, the successful installation of interior wall graphics requires specialized skills and experience. 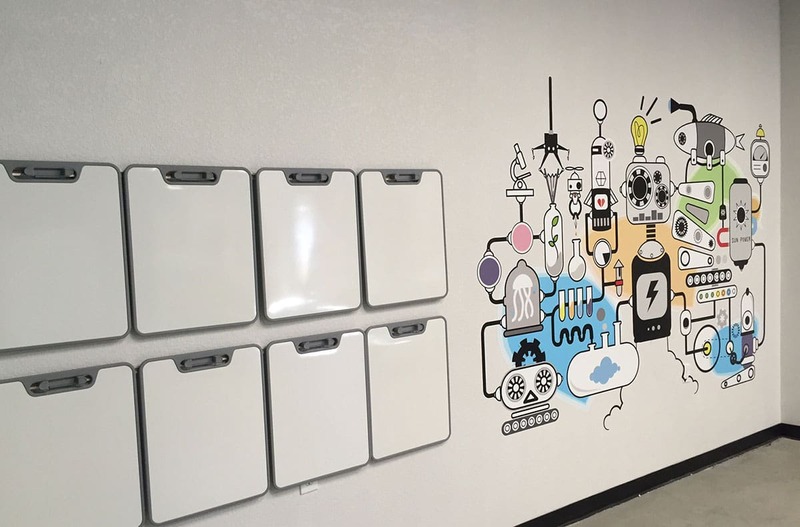 Project Ownership. 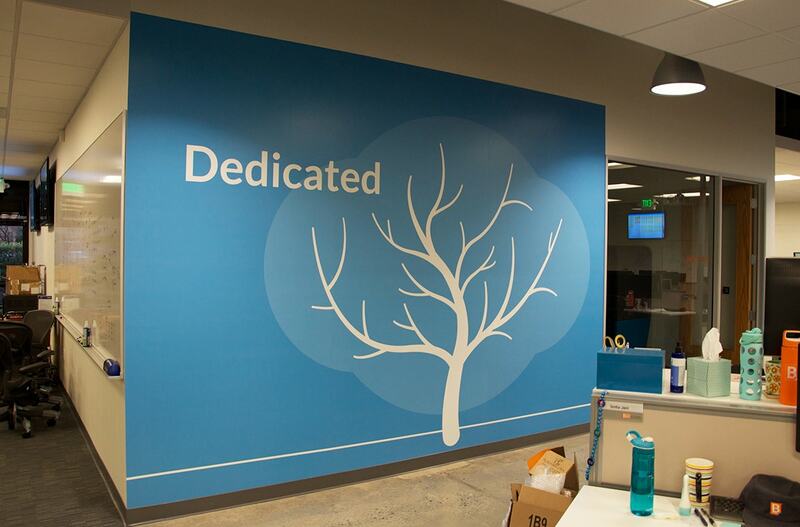 We own the entire process, from scheduling and insurance to logistics. 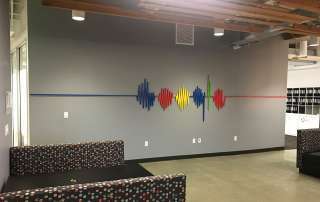 Let’s Talk. 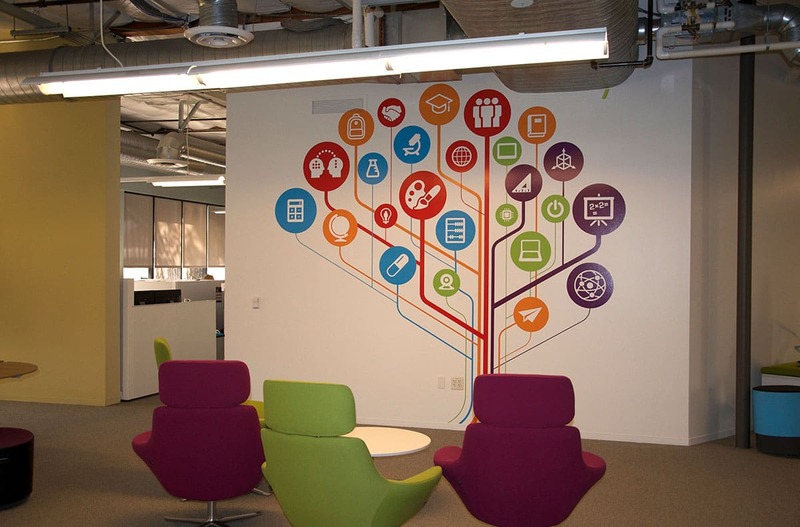 Fill out the form below and one of our Wall Graphics consultants will get in touch with you.